September 8 already! What happened to August??? For the remainder of the year... I have a challenge for all of you! Let's FINISH PROJECTS!! What do you say? Are you all game? Once you finish a project - take a picture of it and email it to me (oldgreencupboard@aol.com). I'll post it on my BLOG so everyone can see how much we are all getting accomplished! 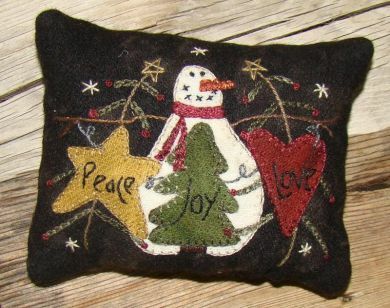 I'm so excited to be able to help Cinnamon's Quilt Shoppe with her wool projects. Eventually she wants to add wool to her fabric mix! Is that exciting or what????? She's given me several projects to finish as samples. They are both from Primitive Gatherings (now how darn cool is that... love her stuff). 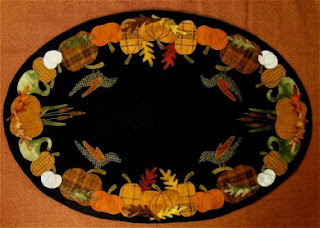 One is a AUTUMN GLORY'S TABLE MAT and I'm almost finished. Here's what the completed project looks like. Isn't this GORGEOUS??? Then... this little fellow is a class I will be instructing at Cinnamon's this last quarter of the year. It's so fast to make! Mine is already finished and ready for it's stuffing. These are super projects to make - one for each of your friends! 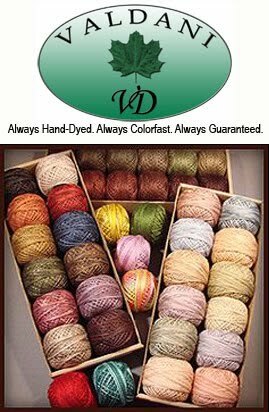 Then........... Karen has asked me to begin a special "wool project" that will begin in January. I don't want to tell you too much... I'm not sure if it's a surprise or not... I'll wait and ask her.. !